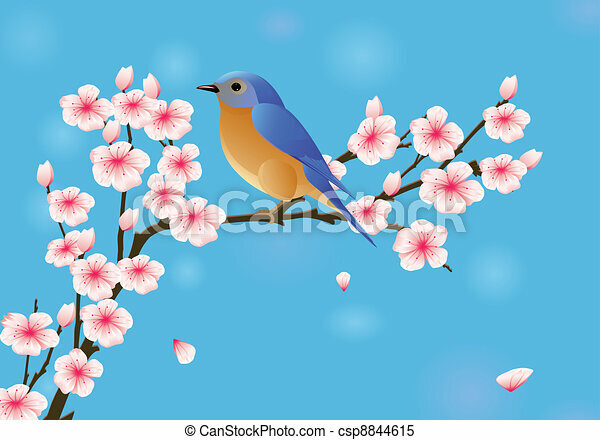 Cherry blossom with robin. 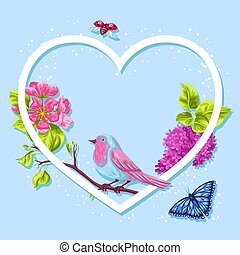 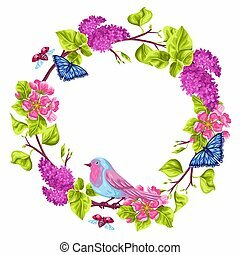 Vector illustration of cherry blossom with robin bird. 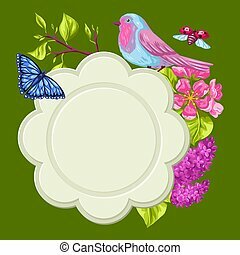 Spring garden frame. 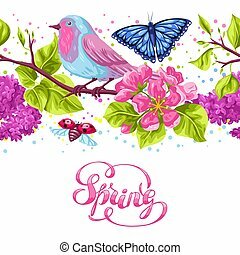 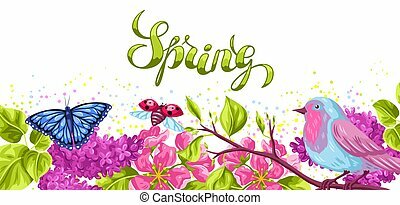 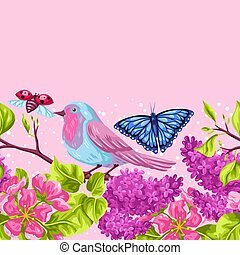 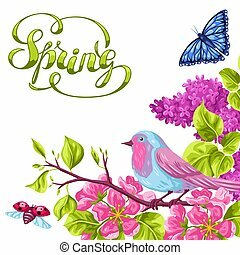 Natural illustration with blossom flower, robin birdie and butterfly. 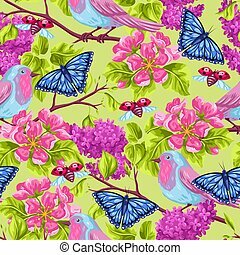 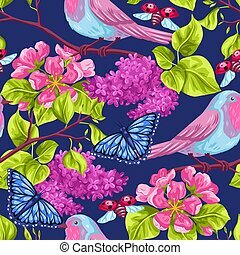 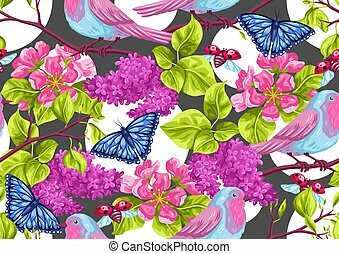 Spring garden seamless pattern. 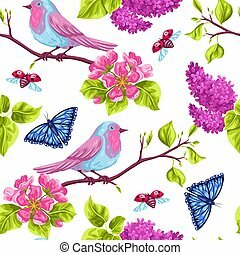 Natural illustration with blossom flower, robin birdie and butterfly. 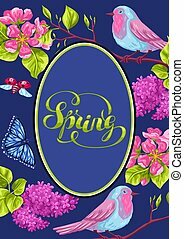 Spring garden set of objects. 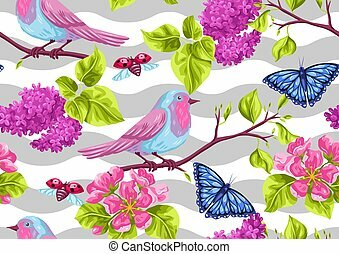 Natural illustration with blossom flower, robin birdie and butterfly. 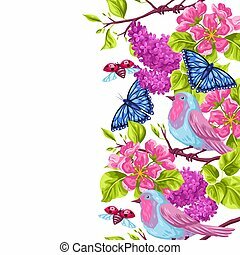 Spring garden background or greeting card. 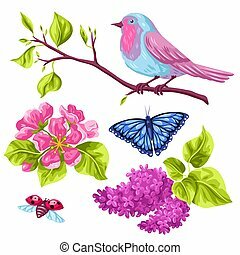 Natural illustration with blossom flower, robin birdie and butterfly.